Here in Atlanta, the demand for extended stay and short-term corporate housing options has never been greater. 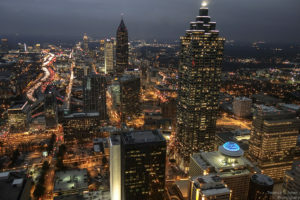 Not only is Atlanta the corporate headquarters for some of the top corporations in the world, but as Adweek reports, Atlanta is now one of the world’s fastest growing destinations for TV and film production, having grown to be the nation’s third largest production hub over the past few years. Needless to say, the production industry alone draws thousands of people to Atlanta each year for short-term stays during film and TV shoots. It also creates a dilemma — how to choose the best corporate housing option in Atlanta. Where can these people stay for weeks or months at a time without spending all their hard-earned money on housing? When coming to a city like Atlanta for an extended stay, people generally default to one of several options, many of which present certain drawbacks. Let’s look at a few of the most common corporate housing options, and be sure to check out our breakdown of the cost comparison between hotels and corporate lodging. While standard and luxury hotels go out of their way to make their guests feel comfortable by offering plenty of amenities, there’s only so much they can do. Hotel rooms typically feel cramped, lack seating or cooking options, and can be very expensive even at discounted rates. Some hotels specifically try to attract the corporate traveler by positioning themselves as “extended stay” hotels, either outfitting standard hotel rooms with kitchenettes or designing the rooms as small suites, studios or apartments with equipped kitchens. They often “sweeten the pot” by offering additional resort-style amenities like a pool, fitness center, free breakfast and other features. This option gives the corporate traveler more comfort, but it is still usually a high price to pay, especially if the individual is too busy to enjoy the extra amenities. Yet another option for some travelers is to seek out short-term or vacation rentals through a website like AirBnB. Through these services, owners can rent their unused furnished homes or apartments out to visitors on a nightly, weekly or monthly basis as a source of income. The difficulties with this type of service are that 1) The cost can be equivalent to that of a hotel; and 2) There are flaws in oversight and accountability, which means travelers often find housing that is different or of lower quality than advertised, or in some cases doesn’t even exist. A fourth option, one that provides several key benefits, is to stay in designated short-term housing provided by a corporate housing agency like TP Corporating Lodging. This option allows the traveler to rent a fully furnished apartment where they can set up more of a home-like routine without paying for amenities they don’t need, all for significantly less money than it would cost to stay in a hotel. Among these choices, many corporate travelers find the fourth choice to be the best corporate housing option in Atlanta. Whether you’re coming for a few weeks or planning for an eventual long-term move, TP Corporate Lodging can help bridge the gap by placing you in a comfortable 1, 2 or 3-bedroom apartment in a great Atlanta neighborhood. For details, call us at 800-428-9997. This entry was posted in Blog and tagged atlanta. Bookmark the permalink.